Maddie's Fund® (www.maddiesfund.org) is a family foundation endowed by the founder of Workday® and PeopleSoft, Dave Duffield and his wife, Cheryl. Maddie's Fund is helping to achieve and sustain a no-kill nation by providing solutions to the most challenging issues facing the animal welfare community through its grant giving, hands-on animal care, and research and education. 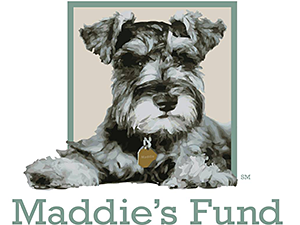 Maddie's Fund is named after the family's beloved Miniature Schnauzer who passed away in 1997. Maddie's Fund grants are designed to help build and sustain a no-kill nation so that shelter dogs and cats can be guaranteed a loving home. The foundation provides strategic funding to collaborative organizations and communities that are leading the way in saving healthy and treatable shelter dogs and cats through innovative marketing, adoption, customer service, and behavioral and medical programs. Grants are also awarded to establish shelter medicine programs at colleges of veterinary medicine so the specialized knowledge and skills of faculty and students can be incorporated in the effort to save all healthy and treatable shelter dogs and cats nationwide. Maddie's Institute is the academic division of Maddie's Fund, providing cutting edge animal welfare information to shelter staff, veterinarians, rescue groups, and community members to increase the lifesaving of homeless dogs and cats. As the Institute grows and evolves, it will have the personnel, facility, and resources to tackle some of the most challenging problems facing the animal welfare community. Using rigorous academic standards and university caliber staff, the Institute will test current practices and research untried approaches for housing, nutrition, shelter medicine, and technology adapted for animal care. Findings will be disseminated to animal welfare stakeholders through conferences, classes, externships, internships, workshops, and distance learning. The Institute will also provide executive leadership training for individuals and thought leaders with a passion for animal welfare. Special programs will be offered to regional animal welfare staff, volunteers, and foster caregivers, as well as to local area youth (K through college) and the general public. When it opens in 2014, Maddie's Center will offer a unique approach to homeless animal care, one in which each and every dog and cat will be treated as an individual family member rather than as part of a "herd." The tranquil environment will be more like a home than an institution to reflect the Center's integrative wellness approach to care. Center staff will pioneer new advances in shelter medicine, nutrition, housing, and technology adapted for animal care, making the Center a testing ground for new protocols and remedies to make it easier and less costly to treat and place homeless dogs and cats who are sick, injured or poorly behaved. Between 2005 and 2011, Maddie's Fund provided grants totaling more than $26 million to the Alliance to fund the Maddie's Pet Rescue Project in NYC and Maddie's Spay/Neuter Project in NYC to help the Alliance end the killing of healthy and treatable shelter dogs and cats community-wide. The Alliance is the largest Maddie's Fund community project in the United States. In 2011, Maddie's Fund also provided a one-year grant for the Maddie's Spay/Neuter Project for Stray Community Cats in NYC to provide free spays and neuters for feral and stray cats and kittens in New York City for certified TNR caretakers. 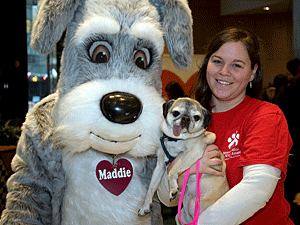 In 2013 and 2014, the Mayor's Alliance for NYC's Animals hosted Maddie's Pet Adoption Days in New York City. This national event, sponsored by Maddie's Fund and billed as the largest free pet adoption event in America, resulted in more than 8,500 adoptions by participating organizations in the NYC area. The Alliance and all the groups that participated in the events are grateful to Maddie's Fund for sharing Maddie's Pet Adoption Days with us and for helping to find new homes for so many Little New Yorkers.